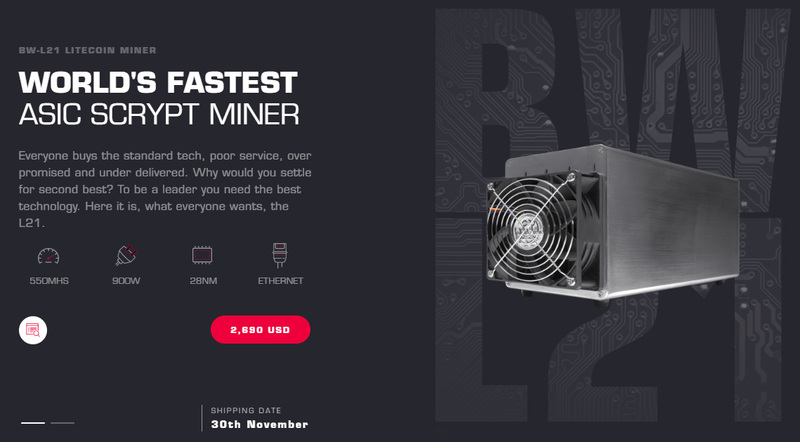 The recent return of interest in Litecoin (LTC) and the growing price has apparently also sparked interest for more up to date ASIC miners and there is one more contender now available apparently. 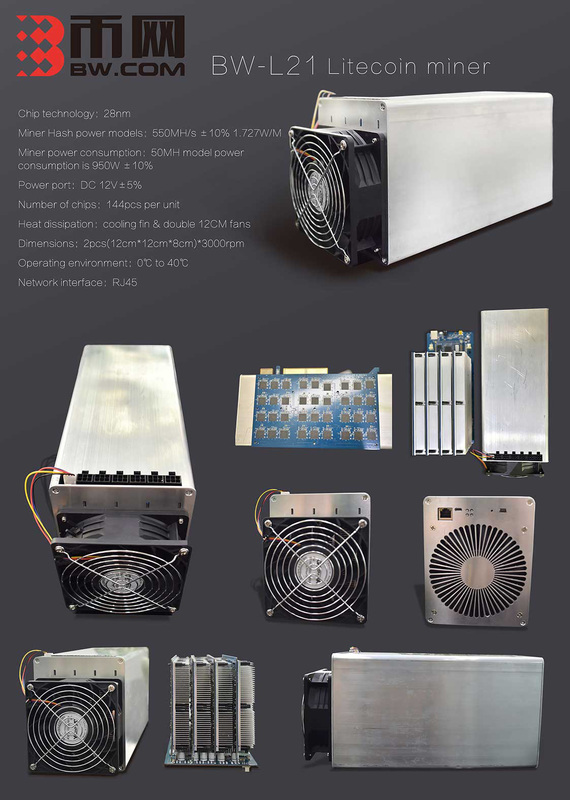 Here comes the BW-L21 Litecoin (Scrypt) ASIC Miner from BW.com promising to deliver up to 550 MHs with 950W of power usage. The ordering process for these devices however is not that easy apparently, there is a minimum order quantity of 100 units and the price is about 2500 USD. You need to contact BW by email in order to arange an order and make the purchase, though with 100 units MOQ this is hardly interesting for small home miners. Bitmain’s AntMiner L3+ Scrypt ASIC miner is still much more attractive to small miners that want to get just one or a couple of units, that is if you manage to buy one when new batches are being released. – Cooling: 2x 120mm x 38mm fan, 3000rpm (front and back, in a push-pull configuration).